Every now and then a book comes around that really blows me away and I just can’t stop thinking about it. CLOSE YOUR EYES, HOLD HANDS is one of those books. Last year I read – and loved – Chris Bohjalian’s THE LIGHT IN THE RUINS. This book is completely different. In this novel, Emily Shepard has survived a nuclear meltdown in the Northeast Kingdom in Vermont and is now a homeless runaway. Emily’s parents worked at the nuclear power plant and people have blamed her father for the accident, so she feels shunned and hunted. Emily survives in an “igloo” of plastic bags and leaves and has a young companion, Cameron, who is also a homeless runaway. Emily gets by using her street smarts, yet she can’t stop thinking about her home, her parents (now dead), and her beloved dog Maggie. She often recites the poems of Emily Dickinson (she’s a big fan) to help calm her mind. Emily’s quest to return home – and into the dead zone – keeps her going in the face of adversity. I was riveted to this book. I loved the tough yet sensitive character of Emily. Her story was so painful and yet the end had a sense of redemption. Emily was amazingly resourceful and her care for Cameron was genuine and intense. It felt like holding on to Cameron was a lifeline for her. As someone who doesn’t live far from Vermont, I have to say that this book really got me thinking. It all seemed so plausible and possible. It made for a disturbing yet fascinating read. I won’t tell you where the title is from, but when I read that part of the book, it made me cry. I really think that Chris Bohjalian is one of the best writers out there today! So here’s the thing. This book doesn’t release until July, and while I will send an updated reminder about it at that time, I urge you to mark your calendars or pre-order your copy now! Thank you Net Galley and Doubleday Books for my copy! 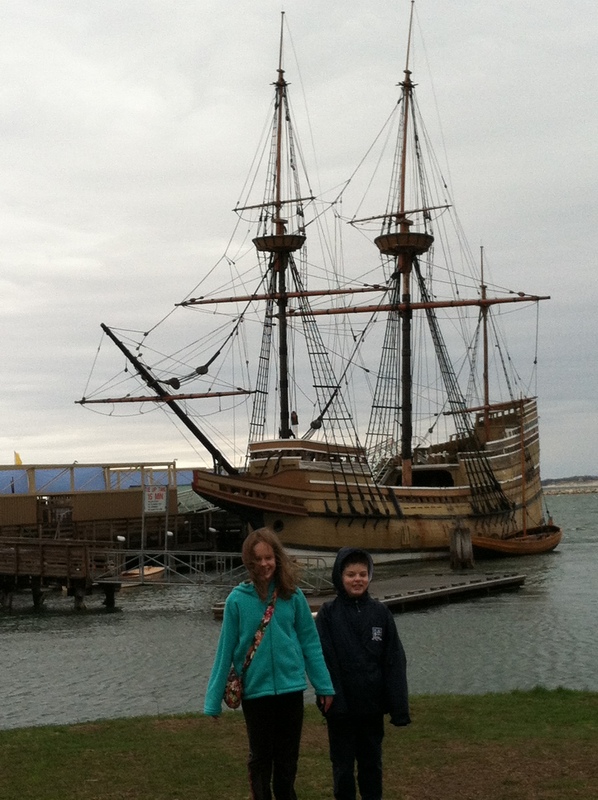 It was school break this week and we were just at home, so for two days I took the kids down to the Cape to see Plimoth Plantation and the Mayflower II. 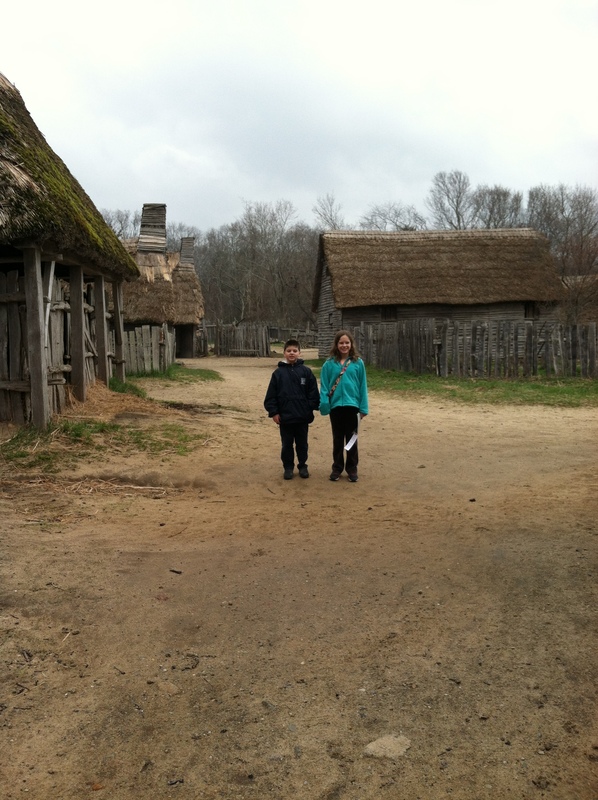 –The kids standing in the English Village of Plimoth Plantation. It was just starting to rain and we were some of the only ones there, which was great! We could do whatever we wanted to! We talked to Miles Standish for about 30 minutes and hung out in the homes when it rained. There is also a Wampanoag village there with true Native Americans that were working and building a canoe (picture did not come out) that fascinated my son! 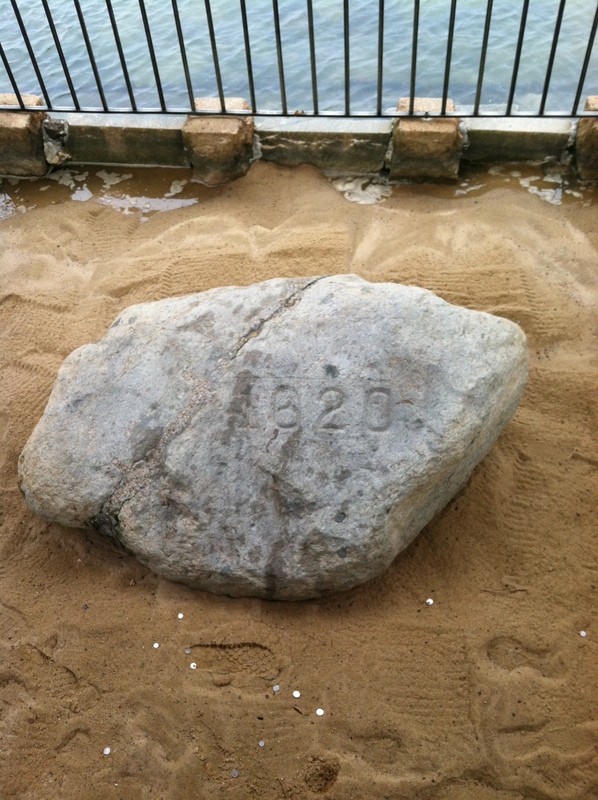 — 1620 marks Plimoth Rock! 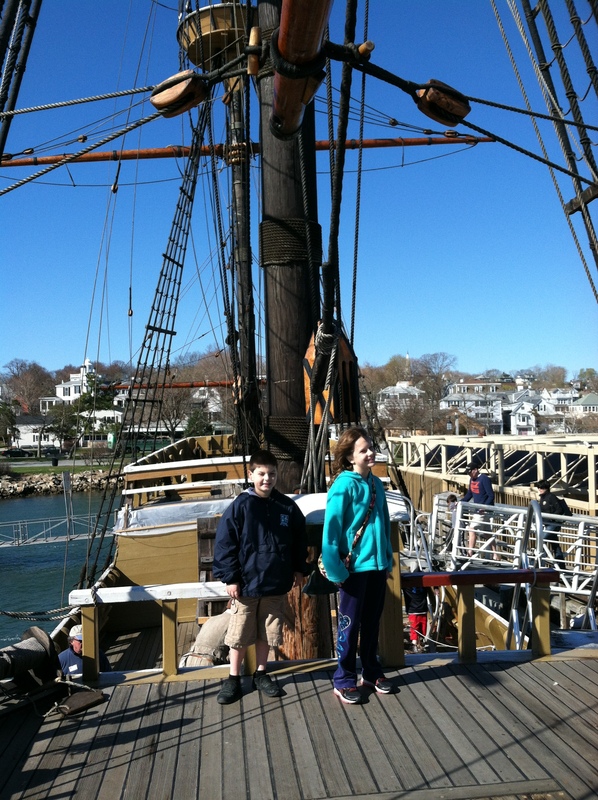 — Here are the kids with the Mayflower II in the background and then on board. In true “Nolan” fashion, I get us everywhere at the start of the day when it opens — much less busy. We were the only ones on the Mayflower for a bit and could interact freely with the folks there. 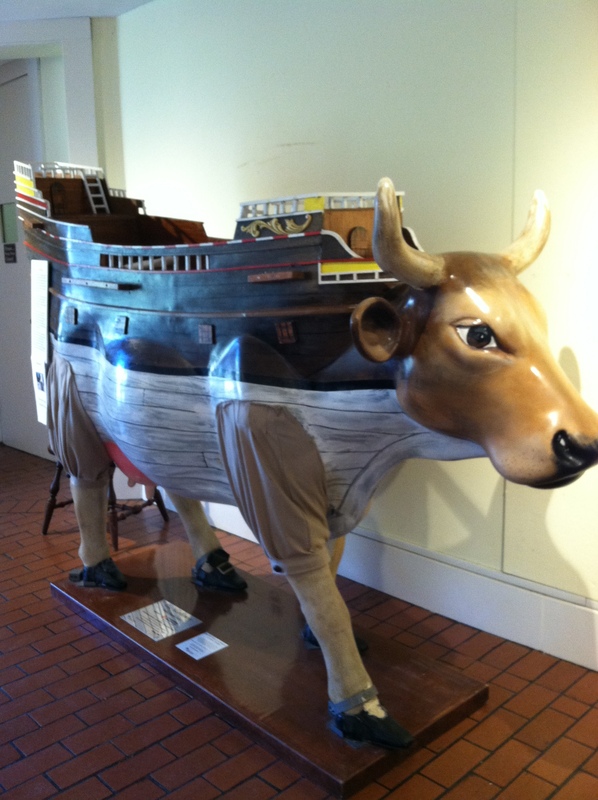 –My kids asked me to include this “Moo-flower” cow statue from the visitors’ center since they thought it was hysterical! Plymouth is only 75 miles from us, but we stayed the night to make it extra fun. 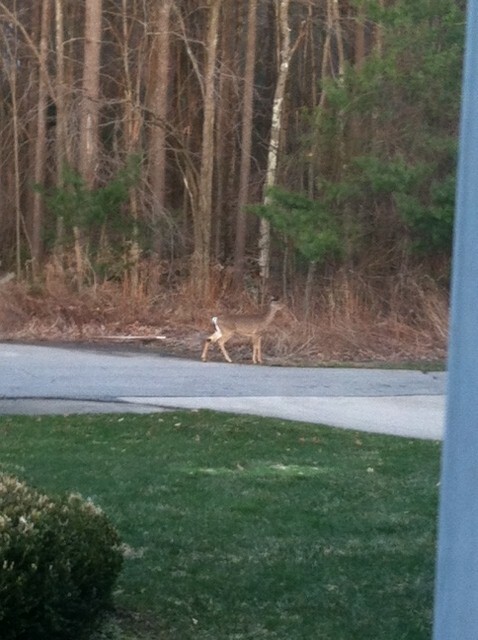 The second day we went back to the Plantation to the Wampanoag village again and to see the baby animals in the barns. 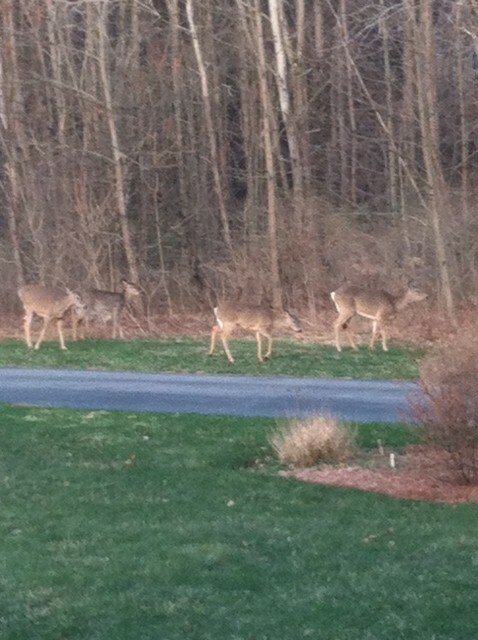 Saturday Snapshot is hosted by Melinda at http://www.westmetromommy.blogspot.com. Check her site for participation rules! I received a copy of this book through Blogging for Books, a Christian media outlet. In this story, which is part historical and part romance, Carrie Lang goes undercover to investigate a suspicious death at Dinsmore ‘s Chocolate Factory. Carrie is an ardent advocate of child labor laws, and she is concerned as well about the welfare of the child workers at the factory. She befriends a co-worker (the owner’s son in disguise) and also takes on the care of three orphaned siblings. Carrie is a devout Christian and a strong personality. Her determination and faith will see her through this mystery! I enjoyed reading this novel. Ms. Sawyer is a new author to me, but it seems she has several published and popular works in the Christian genre. I find reading Christian romances very refreshing and light. They always end on a positive note and they give a hopeful and faith-filled message. This one was extra fun as it was historical as well. Thank you, Water Brook Multnomah, for my copy! A Net Galley find, this is a YA story (one in a series it appears) about a teenager living in Canada who solves mysteries. Casey is on a field trip to a museum’s archaeological dig when he suffers a bad case of sunburn, followed by a night alone in the hotel as he attempts to recover. Instead he hears two men plotting to rob the museum! Since Casey can recognize the men, he is put to work at the museum (his family knows the curator there) in an attempt to locate the men. Will Casey save the day? Or will the crooks get away with their loot? This was a fun read, especially for middle grade and middle school readers, that reminded me of the Hardy Boys. Look for it this fall at a bookstore near you! Thank you, Net Galley and Dundurn Publishers, for my copy. Through Net Galley I found this YA title about a teenager who meets up with a mysterious young woman through the curtain of a waterfall one day when he’s out riding his mountain bike. Mark Lewis is a typical high schooler who is training for a mountain bike competition. One day he comes across an oddly dressed young woman, Susannah, and they become friends. However, Susannah is from 1796 and Mark lives in the present day. The two teens are drawn to each other, and danger mounts for Susannah from her employer. Can Mark cross the barrier of time to save Susannah from her fate? I really enjoyed this story, and the ending suggests that there will be a sequel. I look forward to more from Ms. Langston! Thanks, Net Galley and Spencer Hill Press, for my copy! They moved on, but this little guy seemed to be thinking of staying! Please check her site for how to participate! I received a kindle copy of REVONTULI by Andrew Eddy to review from my friends at Booktrope. It was sent to me because I had liked THE LIGHT IN THE RUINS by Chris Bohjalian last year (that was one of my fave books of 2013!). In REVONTULI, it is WWII and the Germans are occupying the part of Scandinavia known as the Finnmark. The villagers are hardy folks, used to long winters and cold country, and are a blend of Sami and Norwegian culture (just a note- before this book, I had not heard of Sami culture. I looked it up and I have always seen it referred to as “Laplander” though apparently this is a negative term.) The Sami in this book are reindeer herders and semi-nomadic. As war touches the village, teenager Marit is caught between having sympathy for the Bosnian prisoners of war that are being held nearby and her burgeoning friendship with a young German officer, Hans, who boards at her house. The war continues, as does their friendship, and as Hans becomes like a member of Marit’s family, the lines between war and peace blur for her, and the story evolves to a life-changing climax for young Marit. Throughout the book, the point of view toggles from current day Bavaria and Marit visiting there (she is quite elderly now) and her village growing up when she is seventeen. I really enjoyed this read! WWII is one of my favorite historical genres and this took place in an area that was new to me. Poor Marit was torn between her family’s culture, loyalty to her country, her friends, and her love for Hans. Her actions cause her to have to grow up quickly in a world that is rapidly changing. Highly recommended to my readers who enjoy this genre! Thank you, friends at Booktrope for my copy! I will look for more forthcoming novels from Mr. Eddy. So I had heard about this book when it first came out and put it on my wish list. I bought it as a birthday gift from Amazon (yes, my bday is on Saturday!). Most bloggers had said things like “I can’t even talk about what this book is about because I will give it away!” or something similar, so all I knew was that it was about a headmaster and his wife at an independent boarding school. If you know me, you know I’ve spent my professional life in independent school (aka “prep” schools) and I LOVE to read about them. So – the bloggers were correct. I can’t talk about this book without giving it away. It is MUCH better to go into this book not knowing what to expect. When I started reading last night after dinner I thought, “Oh no. Not THIS storyline again.” However, I continued, and at the end of part one (there are three major parts/POV in the book) I was blown away and so hooked that I kept reading straight through until the book was finished at 11 PM. This was a fascinating read – one that kept me guessing and puzzling and thinking about it long after it was over. It some ways it reminded me of “Gone Girl”. In other ways, it reminded me of “Shutter Island”. Regardless, I’ve said enough. Do yourself a favor and if you choose to read it, read it cold. Be surprised. My friends at Booktrope sent me a kindle copy of this book to review. In this riveting story, Heather Morrison is a thirty-something professional in NYC who has worked hard to be professionally successful in life. She has not been lucky in love, however, and she has spent months going through the process to adopt a baby girl from China. Heather seems to have it all together until she lands in the ER one night with a surprise asthma attack. There she meets Dr. Jeff Davis who becomes her pulmonologist, and then her lover. Heather and Jeff’s relationship has disaster written all over it right from the start. Jeff, while seemingly caring and very attractive, is married and (as if that wasn’t enough) her doctor. Heather, though, almost cannot control her attachment to him and the affair develops. As things progress, Heather’s insecurities surface, along with some serious emotional vulnerabilities and issues which were screaming out for her to get help from a trained therapist or psychiatrist. Instead Jeff treats her with his own techniques and a virtual smorgasbord of pills. When Jeff unceremoniously dumps her (of course that was coming – the guy is a serial cheater), Heather decides to fight back by taking him to court. As I read this book I wanted to think that stuff like this couldn’t/wouldn’t/doesn’t happen, but I’m sure it does. Jeff was just sleazy and arrogant enough to think he could break the law and get away with it. Heather was just frail enough to go along and pretty much lose her sense of rational thought (until after the break up). By the time Heather regains her senses (and it is even doubtful to me if she has by the end), her life is a mess: she has lost her job and lost the baby she was in the process of adopting, and she is popping valium, sleeping pills, and more like they are M&M’s, all the while she is chain-smoking. This book spends much time covering legal issues and ethical/medical issues. Sometimes it felt like a lot of “telling” – such as when Heather would meet with her lawyer – but a reader needed that information in order to understand and believe the story (someone might have instead thought “hey – they are consenting adults; what’s the issue?”). Poor Heather is pretty much put through the wringer and while the ending is hopeful, I can’t say it’s completely happy. This was a really interesting read to me, and I could barely put the book down because I wanted to make sure Heather would get justice. I could see this story being made into a Lifetime movie! I know these characters weren’t real, but that little baby Lin who missed getting adopted really weighed on my mind at the end. Alas, I do take my books seriously! I recently won a free copy of Erika Robuck’s new book FALLEN BEAUTY, about Edna St. Vincent Millay. I had loved Erika’s CALL ME ZELDA last year, and also enjoyed meeting her at the Concord Bookshop, so this book was special to me! FALLEN BEAUTY tells the story of Laura Kelley, a young woman who, in the 1920’s, falls in love and takes some chances which unfortunately end up with her being single, poor, and with a young daughter to raise. Just outside of Laura’s small New York hometown lives the larger-than-life poet, Edna St. Vincent Millay and her husband. Millay lives a grandiose and bohemian lifestyle and when her path crosses with Laura’s, she becomes almost obsessed with making Laura part of her life. Laura resists and staunchly perseveres in her harsh and mostly isolated reality, making the best life she can for her beloved little girl. Millay continues to reach out to her. In times their lives intertwine and the plot winds to a shattering climax and conclusion. I really enjoyed this book. Erika is a really great writer and her stories flow so easily. I liked the (fictional) character of Laura and kept rooting for her to have some sort of lucky break, and I loved the themes of redemption that came throughout the story. I found Millay’s character fascinating as it was closely based on real facts. This was a woman who definitely worked hard and played hard! She wore her emotions right under the surface and was ruled by her physical needs and emotional weaknesses. Truly this was a fascinating portrait of a genius mind. I highly recommend this novel if you enjoy historical fiction and/or reading about Millay. Thank you for my copy, Erika! I look forward to your next book. I even have a guess of whom it might be about!